On November 2011 I published my first book and told a few people. 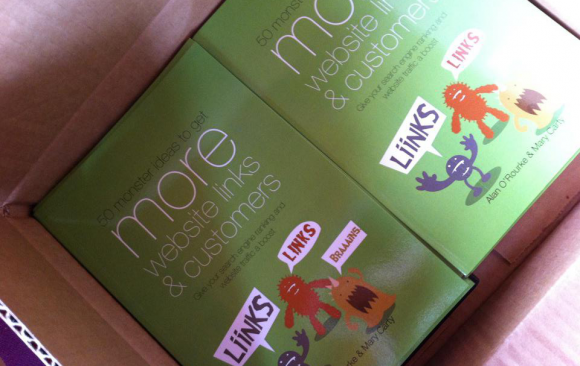 It was a small book on search engine optimization and link building. Very small. So small in fact I was convinced it would get savaged in the reviews on amazon. 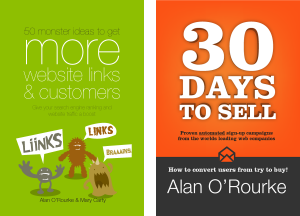 I mean, I have read longer blog posts than my book, 50 Monster Ideas to get MORE website links and customers. I am sure I have even written longer blog posts. But it didn’t get savaged. On Amazon.com right now the book has an average rating of 4.4 stars and sold almost 1000 copies. On Amazon.co.uk a lovely lady wrote a terrible review of the book. I immediately replied to tell her, yes, she was absolutely right in everything she said and offered to refund her personally. It was simply a misunderstanding where she missed who the book was targeted at. She thanked me and never asked for the refund. People loved how direct to the point the book was. There was no padding, no fluff. It valued people’s time and they appreciated it. But the thing about the whole exercise that totally blew my mind was this. If I had published it as a blog article I would have earned a few cent in Google AdSense. As a book it earned almost €2000 and continues to earn. One little book. So of course I started thinking, how can I improve that next time? if you put it in the right format. People are not used to paying for blogs. They are used to paying for books. On a side note I notice people pay more for courses. Lets look into that more next time. Publish through Amazon.com and Createspace.com. they were easy and worked well for the first book. 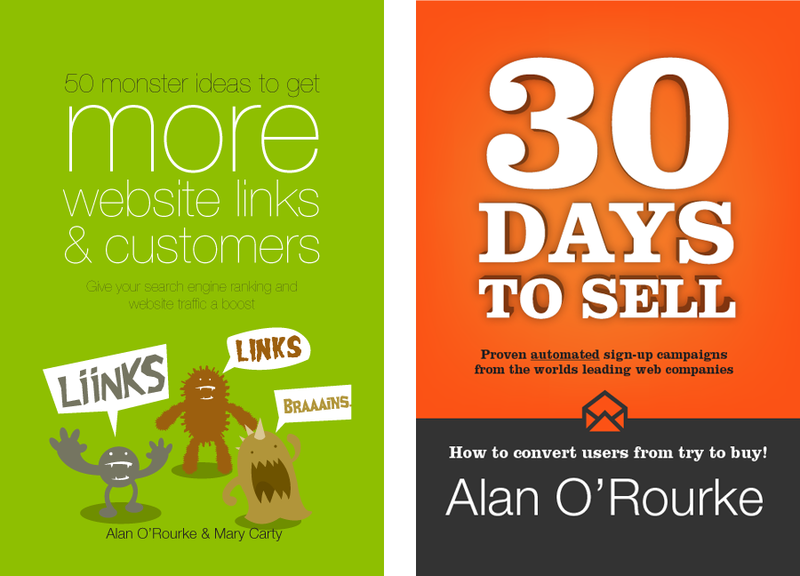 I will use them again and pay someone on odesk.com to format the book for Kindle, eBook and iBooks. Editing a book takes much, much longer than you think. But the number if revisions are worth it judging by the reviews. Go for a big launch day. All my research indicates it doesn’t require many copies to be sold in a single day to make a daily best seller list on amazon. So if I can coordinate a big launch where everyone buys the same day I might be able to hit that list. Having an ‘Amazon best seller’ sticker on the book cover will help sales and credibility. Start building an audience as soon as possible. Before the book is even finished start telling people about it, asking them to subscribe, get a sample chapter ready for free download. For the first book I sold primarily through Amazon and a niche daily deal site called Mightydeals.com. Both sites are great and have a big market place. However they own that marketplace, I don’t. I did not get names and email addresses. I do not know any of the thousands of people who bought my book. Which means for every new book I write and sell in future I need to start from scratch again which is crazy. This time I am building my own audience. And for the books I sell through amazon and Mightydeals I am giving a special offer. They can come to my site and sign up to download two bonus chapters free if they tell me who they are. There are other sales channels. Look for niche deal sites. Appsumo and MightyDeals are in the web, marketing, techy space. Bundlehunt.com is another I am trying right now. Over a three month period Mightydeals accounted for the majority of the entire total book sales. It was amazing. as early as possible as it will help credibility when marketing the book and they are essential for selling on amazon etc . I know from my day job a health mix of good and bad reviews can actually increase sales but I realized it is important to start will the good reviews. It sets the tone for everyone writing a review afterwards. On Amazon.com the book started with a few great reviews and all the rest followed suit. On Amazon.co.uk it started with a bad review and no one wanted to write a review after that. Of course I should have seeded a few reviews there to balance it out and probably will. If you have read the book go there and leave a review please. Give a taster away for free. When you are a new author its best to give a small sample so people know how good it is before they buy. Also it means you are capturing email addresses to remind them to buy later. Big and bold book cover. Short snappy book title. 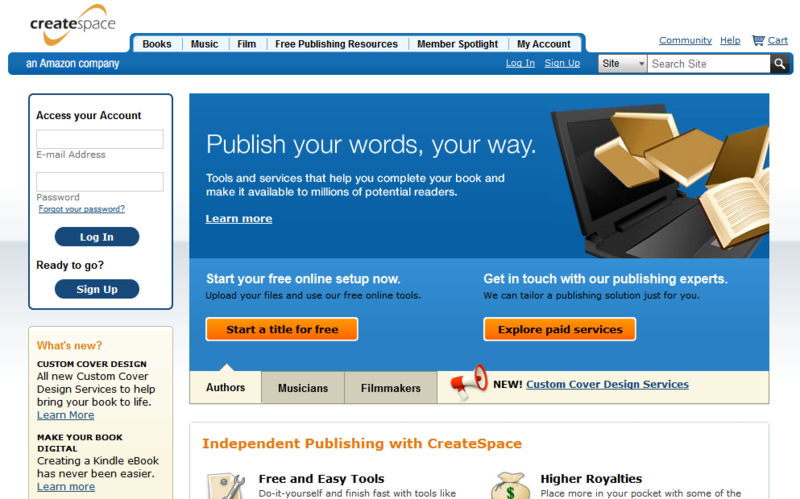 When your book is being seen on Amazon or kindle people can only see a small thumbnail. 50 monster ideas was too long a title, the font was too light to read at that size and the colours did not stand out enough. This time I went to the best seller lists on amazon and took note of the design styles of the most popular books. The new book cover is big, bold, very loud and can be read from a distance. Affiliate sales were no good. I offered the book on affiliate networks with a healthy 50-75% commission for sellers. It didn’t get any traction. Perhaps I didn’t do it right. But I will not bother with this book. While I signed up to kindle select I did not get any value from it. In fact I think I suffered as it delayed selling the book on other networks like MightyDeals. That’s it, the new book is out in September so make sure to follow the blog as I write about the marketing I am doing this time.